If you own a garden, you may know how bad they can end up looking if you don’t regularly maintain them, no matter how small it may be. – Here’s how you can look after your garden easily. Weeds can be an absolute nightmare to deal with because no matter how long you spend pulling them out (from the root of course!) – give it a week and they will all be back striving in your garden, stronger than ever. Unfortunately, they are just one of them things you will have to learn to deal with and keep on top of. Although, you can buy weed killers or use boiling water to help with the process. If a chef used knock-off knives and pans to cook with, he wouldn’t be getting the best out of his dishes – the same goes for gardening. Invest in some top quality spades, rakes, mowers and wheelbarrows as this will make things a lot easier to work with, plus they’ll last a lot longer than any cheap version. Keeping your grass green is a lot more complicated than you may think. It has to have the right amount of water and sun; you have to keep on top of weeds, feed it and mow it regularly. If the effort seems too much for you then consider artificial grass. People are getting more and more interested with this option nowadays. – The most popular questions about artificial grass tend to be things like “Is it safe for children and pets?” And the answer is yes. If your plants don’t have healthy soil around them, they just won’t grow and thrive as you would have liked, so use a spade to turn the soil once every month (or more if you think it needs it.) This is to keep everything loose and light as a pose to being hard and crumbly. Clay does this, so you will want to give it a little extra attention by mixing in some organic compost to keep it soft. Most plants are made up of over 90% water, so they will not be able to survive without it. Like humans, they need to stay hydrated otherwise they will die, the only difference is their whole existence relies on you. You should water plants when you wake up in the morning because the air tends to be cooler, meaning less water is lost through evaporation than if it were hot and sunny outside. 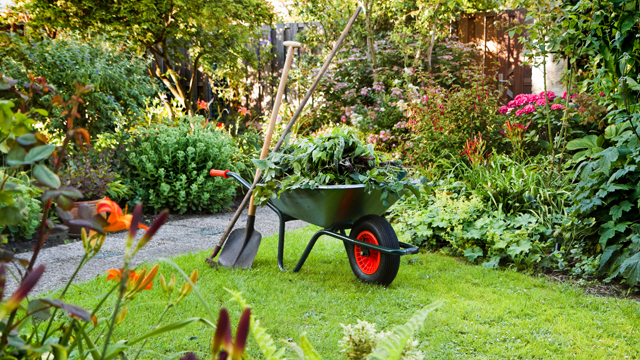 When planting something in your garden, it is essential that you leave it enough space to grow. It may look small now, but the roots will need to spread out, and the plant itself needs enough space to be able to take in the sunlight, collect its moisture, and get nutrients from the soil. If you plant things too close together, it will have to compete with its neighbours to get all of the good stuff. Now you know how to keep your garden healthy, put these things in action and enjoy the results. Next Post Is House Hunting Without The Stress Possible? Yes, Yes It Is!